Environmental, health and safety (EHS) managers struggle to gain business management's support. They try to justify new programs or protect existing activities from cutbacks by "running through the numbers." But the real business value may lie in the subtleties and the hard-to-quantify intangibles of emerging dynamics -- EHS opportunities and issues that may be totally unfamiliar to business managers. This article addresses the growing gap between the realities we face as professionals and management's awareness of these forces in play. I first met Hazel O'Leary, former President Clinton's U.S. Secretary of Energy, in 1994 at a luncheon in Phoenix for business executives. She worked the crowd like Sally Jessy Raphael. We were enthralled. After the applause died down, I asked the people at my table, "Great delivery, but what did she really say?" The smiles quickly turned to puzzled frowns as they realized that they could not articulate a single substantive message. They suddenly realized that the dazzling showmanship masked the shallowness of the content. Political consultants have told me that the power of professional politicians lie in their uncanny ability to wax eloquently on any subject, based only on a molecular layer of knowledge. Look deeper and you generally do not find much substance. The public has grown so cynical about politicians that they now accept no depth or experience as a possible advantage. Witness the California follies. When it comes to the individuals at the top of corporations, however, the public and especially shareholders expect much, much more. In this regard, it is worth examining the depth of knowledge that business executives have with respect to environmental, health and safety issues. Scores of companies have been devastated by EHS matter, from Union Carbide to Monsanto, to the string of asbestos-related bankruptcies. Certainly, one would expect executives to be on top of these issues. Right? Clearly, he is taking his cues from environmental thought leaders such as Paul Hawken, best-selling author of numerous books including The Ecology of Commerce and Dr. Amory Lovins, co-CEO of the Rocky Mountain Institute, a non-profit natural resource think tank. What sets Anderson apart, however, is that he both understands and believes in the messages he champions. Contrast this with the politically correct rhetoric that some CEOs deliver. More often than not, if they state the company's position on environmental, health and safety, it is the obligatory "CEO Statement" in the annual environmental report. These statements are almost always written by someone else (typically the communications department with input from the EHS group) and are structured to be consistent with the Global Reporting Initiative (GRI) reporting guidelines. Read a few dozen of these reports and they all seem to merge into the same breathless message of devotion to corporate responsibility. Look deeper and you generally do not find much substance. And these are the enlightened CEOs. Most companies do not even issue a report. Indeed, the Ray Andersons of this world are rarities, and I sometimes wonder if they are also becoming an endangered species. The messages that come out of so many companies, including companies viewed as leaders such as British Petroleum and Royal Dutch Shell, are conservative in contrast to Ray's writings and speeches. For example, in 1998 he stated in a meeting of CEOs at the U.S. Embassy in London that "In the future, people like me will go to jail. "2 The implication being that the CEOs of today, viewed with hindsight by society in the future, will not look kindly on the unsustainable practices of industry today. While this may be true (just reflect upon the environmental, health, safety and human rights issues of corporations during the first half of the past century), it is a message that is usually lost. Ray is no Jack Welch, and his business has not achieved the financial rewards linked to sustainability that may have encouraged other CEOs to follow his lead. The sectors that have historically received significant public, non-government organization (NGO) and regulatory criticism tend to have executives who are more aware of and sensitive to emerging EHS dynamics. Thus, the mining, chemical, pharmaceutical, energy and transportation sectors, at least on the surface, pay greater attention to these issues. They also produce some of the best social responsibility reports. Disclosure is no substitute for aggressive action and results, but greater transparency demonstrates, at a minimum, that there are managers in the company who are tracking at least the most obvious issues and opportunities. Enlightened executives are relatively rare due to a myriad of factors. Business executives and boards of directors may take a look at these corporate responsibility reports. The key word is "may," and it is a very big may if only electronic reports are issued. The essential (and often missing) element is face-to-face meetings, which are necessary to really get across the strategic issues in play that may be covered in these reports. Ideally, all employees should eventually be included in some form of direct communication. The sector that I find the most fascinating is the food industry. Few companies within this sector issue social responsibility reports. Research by KPMG in 1999 and the University of Sunderland in 2002 found that this sector lagged behind most. The United Nations Environmental Programme (UNEP) and SustainAbility, in their 2002 report, Trust Us, stated "Even the most advanced food producers, shippers and retailers are still at an embryonic stage in their reporting, let alone developing and deploying truly sustainable business models. "3 This is amazing in view of the fact that this sector has been in the center of a brewing storm of issues (see Table 1). From my observations and direct talks with EHS professionals inside the food industry, business executives seem either unconcerned or distracted by other issues. How long this lack of a focused response will last is anyone's guess, but the sector is ripe for change. For example, Nestlé and General Mills appear to be making headway and may set the path for others to follow. The alcoholic beverage industry has been sensitized because of the tobacco industry problems. Anheuser-Busch has been particularly progressive with its EHS programs. McDonalds' management has been sensitized by their ongoing relationship with Environmental Defense. First it was packaging, now the issue is reduced use of antibiotics in chickens. But for now the food industry norm is less than exemplary, as evident by the recent $5.25 million fine by the U.S. Environmental Protection Agency (EPA) against Sara Lee Bakery Group for the largest ever corporate-wide violations of ozone preservation laws. The food industry may represent one extreme, but even the more enlightened sectors have problems with executive awareness of emerging issues. I get this message constantly from EHS professionals. As one individual told me after a series of interviews with top executives, "I have been to the top and it's ugly." I have experienced this myself during conversations with top business executives. One of the direct consequences of this lack of awareness is restructured and understaffed EHS departments, as though these groups were only providing routine, low-value service functions. Enlightened executives are relatively rare due to a myriad of factors. Education on EHS subjects is sparse in business courses in college. It was non-existent when today's executives were in college. Few in-company or externally provided executive training courses provide much substance in these areas. Environmental activists have never done a very good job explaining what is going on in business terms. The messages delivered by protesters come across to business managers as fractured wackiness. The media is focused on sound bites and rarely covers the substantive issues. The whale trapped in the net grabs the headlines. Where is the business relevance? Business newspapers, journals and books do not generally contain this type of information. In the past ten years, for example, the Harvard Business Review has published thirteen articles directly related to EHS -- roughly one percent of the articles published. The Wall Street Journal routinely reports on companies facing EHS challenges and finding niche green opportunities, but the editorials inevitably convey the message that environmental concerns are overblown. Cognitive dissonance may be the best way to describe this inconsistency. Jim Collins' best selling book Good to Great contains no references to EHS. Jack Welch's Straight from the Gut, contains twelve pages on the polychlorinated biphenyl (PCB) issues faced by General Electric, which he described as "one of the most frustrating issues I've had to deal with for 25 years. "4 General Electric (GE) was named as the only responsible party in the Superfund action brought by EPA in connection with the cleanup of PCB-contaminated sediment in the Hudson River near New York City. In August 2003, GE agreed to pay EPA up to $28 million in partial reimbursement of EPA's past and future costs associated with the project. But, it is all too easy to dismiss GE's problems as unique to GE and ignore the broader message that EHS issues can be quicksand. This confusing array of inputs easily allows executives to assume that EHS issues are not strategically relevant to a company. Yes, do what is socially responsible (i.e., legally required), but anything beyond that this is just too confusing to invest limited resources. Executives can easily rationalize why the EHS successes and dramatic failures of other companies do not apply to their own company. This brings us to the final and most significant contributor to unenlightened executives: us. The nature of the interactions between EHS professionals and executives helps to foster the "green wall" that disables us from having greater influence with management.6 Interactions between EHS professionals and executives are typically issue and process driven (see Table 2), not strategic and forward-oriented. With major business divisions, and mid to large corporations, management access can be a major factor. Even at small manufacturing sites where access is not an issue, EHS professionals spend the vast majority of their time just covering the traditional issues and metrics. Human nature is such that unless managers are comfortable and familiar with the underlying issues, they are less inclined to go along with some program or project. One needs to gradually bring them onboard; data dumps rarely work. For example, it may be necessary to first bring them up-to-date on the changing role of NGOs before asking for approval on a new community outreach program in partnership with an NGO. Such efforts are nearly impossible to justify strictly on the dollars, but they can reap enormous benefits. 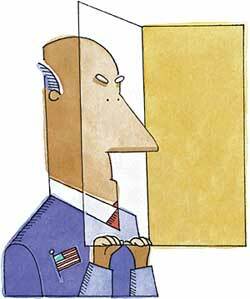 The most significant contributor to unenlightened executives: us. In large corporations, I sometimes get the impression that the EHS managers go out of their way to avoid executive interactions. Meetings are infrequent and are carefully orchestrated along very narrow lines. As a test evaluation, assess the nature of the face-to-face executive and director meetings that have been held to explain your EHS and community report (assuming your company publishes one). Have any been held at all? Some EHS managers are beginning to realize that this "out of sight -- out of mind" behavior is self defeating. Certainly, it does not build the trust and understanding needed to embark on non-traditional (i.e., not-compliance related) programs. There are numerous ways to raise visibility and understanding. At an absolute minimum, for example, companies should have an EHS executive steering committee. The specifics that determine how they are set up is critical for their success. Executive steering committees and other mechanisms designed to boost management awareness could be a subject for a future "Manager's Notebook" column in Environmental Protection if I get sufficient reader requests. If you have ever worked inside industry for an enlightened executive as I have, it can make all the difference in the world to foster progress and personal job satisfaction. The frustration factor that seems to be so prevalent among EHS professionals today would go to zero if every business manager were enlightened. They may still reject programs and projects, but at least you know that they are acting from a position of knowledge. If executives are out to lunch, we cannot overlook our own responsibility to get them back to the (business) table and feed them with facts. We owe it to ourselves and to the success of the company. Ray Anderson, "Toward a Just and Sustainable Economy: Economics 101 Revisited," Corporate Environmental Strategy, Vol. 10, Issue 6, pages 4-27. Eileen Gunn, "In the Future, People Like Me Will Go to Jail," Fortune, May 24, 1999, page 190. Judy Kuszewski, et. al., Trust Us -- Global Reporters 2002 Survey of Corporate Sustainability Reporting, joint UNEP and SustainAbility Report, page 39. Jack Welch with John Byrne, Straight from the Gut, Warner Business Books, N.Y., 2001, page 283. "A Little Poison Can Be Good For You," Fortune, June 9, 2003, pages 54-56. Robert Shelton, "Hitting the Green Wall: Why Corporate Programs Get Stalled," Chapter 2, The Role of Upper Management, Environmental Management and Business Strategy: Leadership Skills for the 21st Century, Edited by B. Piasecki, et al., John Wiley & Sons, 1998. This column originally appeared in the October 2003 issue of Environmental Protection, Vol. 14, No. 8.